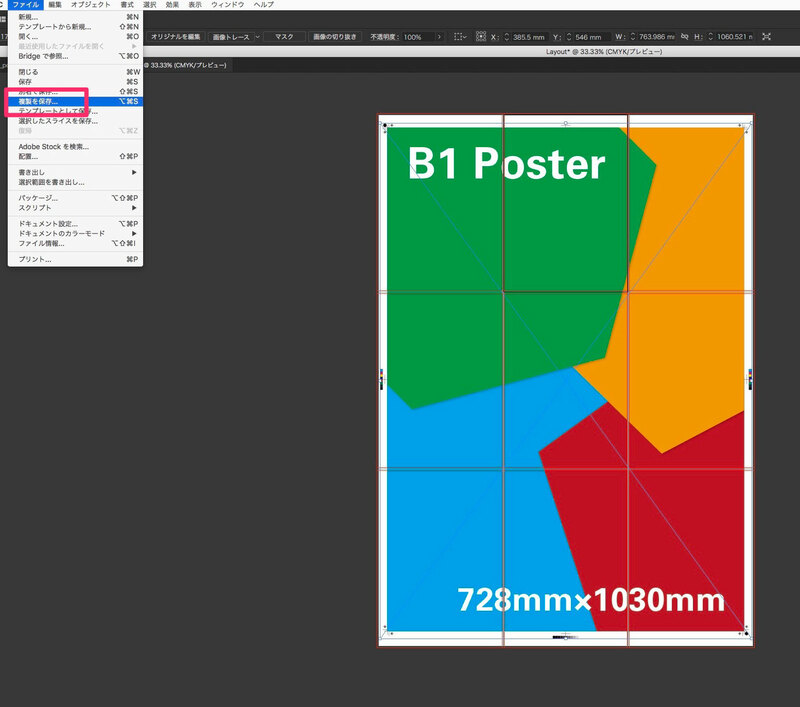 It is a method to print out by splitting a large format poster created with Illustrator. 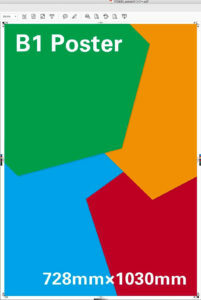 This assumes a scene where B1 size posters are printed out using A3 printers. Prepare the artboard at B1 size (728 mm × 1030 mm) in full size and add 3 mm for sunken paddle. 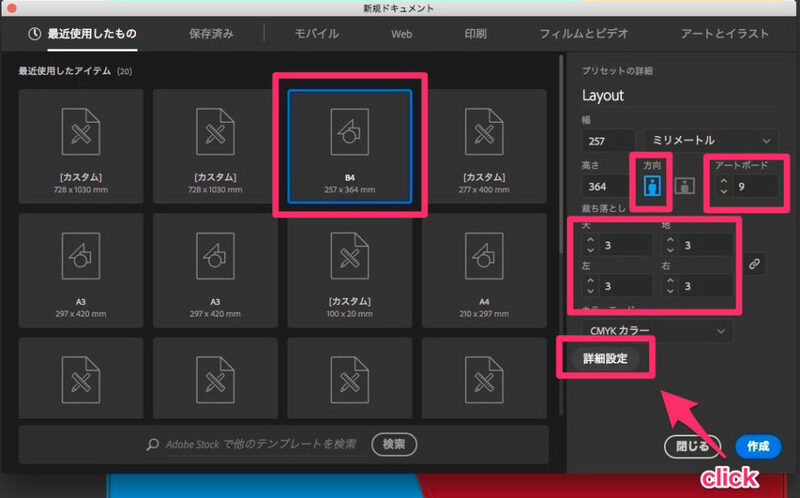 Write out poster data to PDF with register mark. 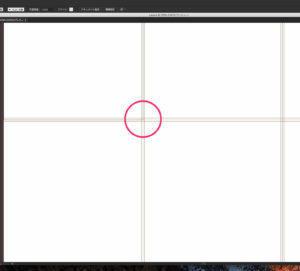 Create a new document and create an artboard that is slightly smaller than the printer’s maximum size. 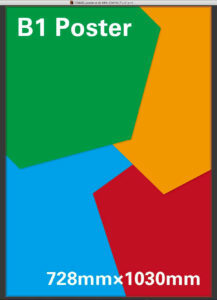 This time it is B4 (257 mm × 364 mm) size. 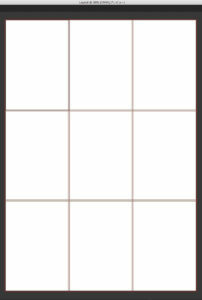 Since we need nine sheets to accommodate B1, we set the number of artboards to “9”. 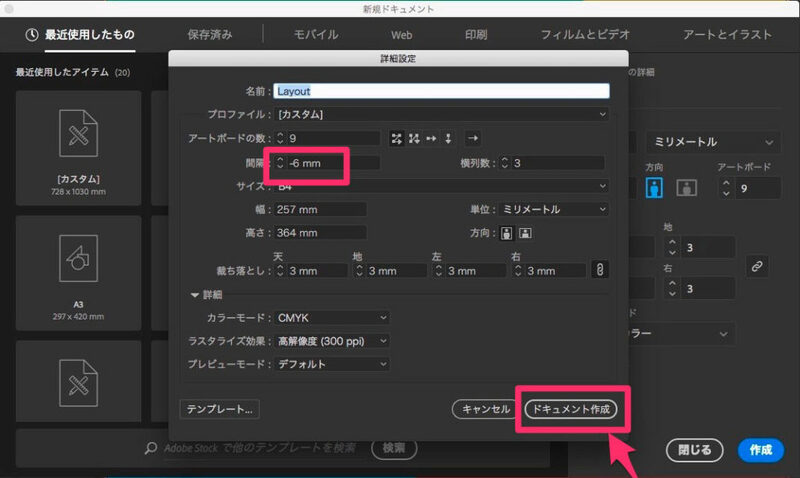 Also set as 3 mm for paint addition, “Detailed setting” is displayed. 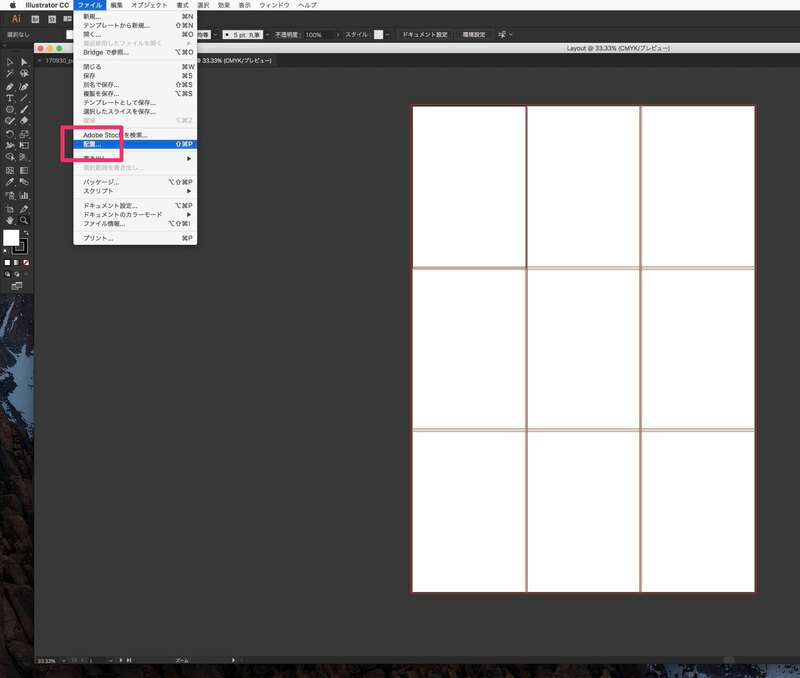 In the detail setting panel, set the spacing of the artboard to “-6 mm”, and “create new document”. This is the numerical value of “paint added value × 2” set above. 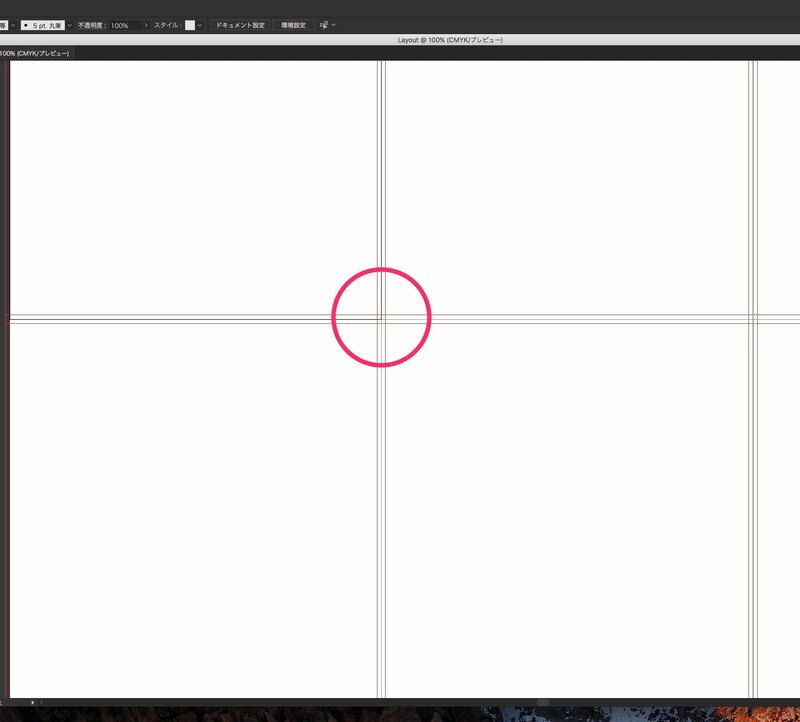 By doing like this, adjacent artboards are installed without any gaps. 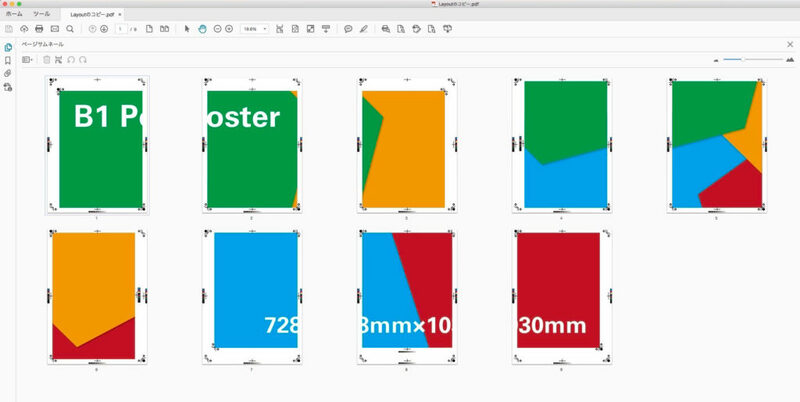 A combined artboard was created with nine B4 sizes. 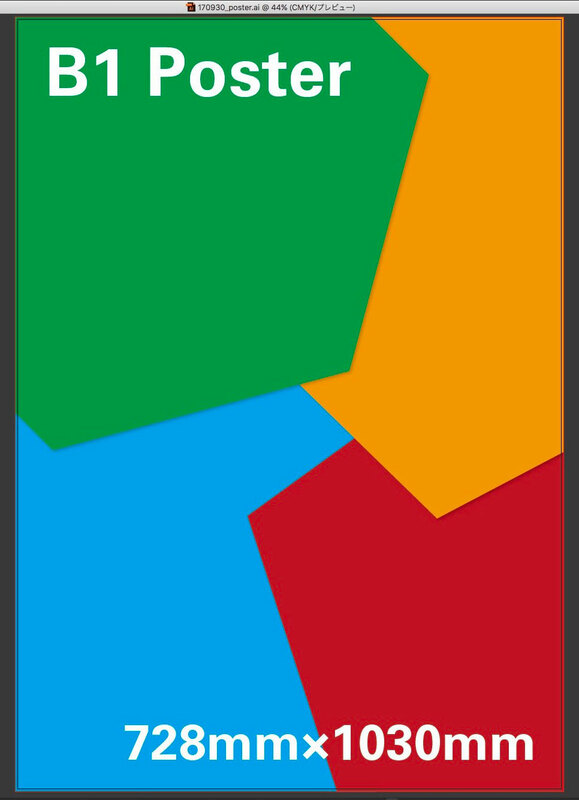 When enlarged, you can see that the artboards are installed without gaps. Place poster data with register marks written in 1. on the artwork board for split placement created in 2.. It fits nicely on nine artboards. 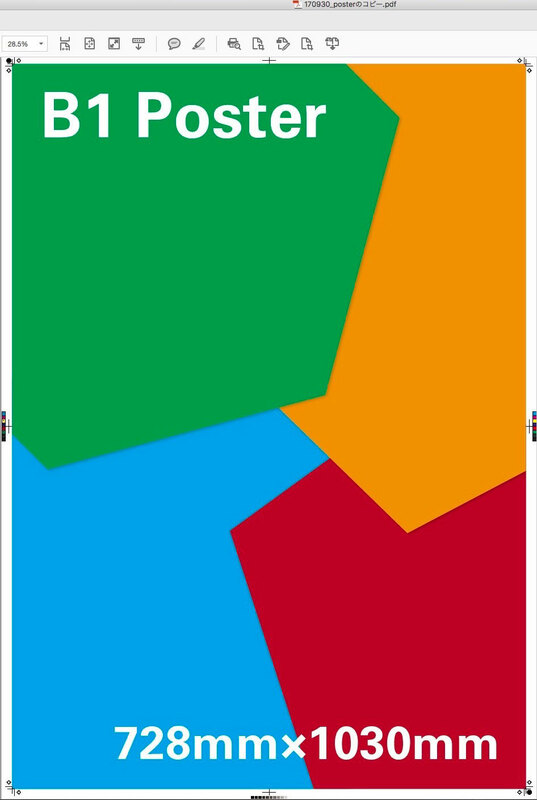 We will write the document for split placement with poster placed in 3. from “Save copy” to PDF for printing. 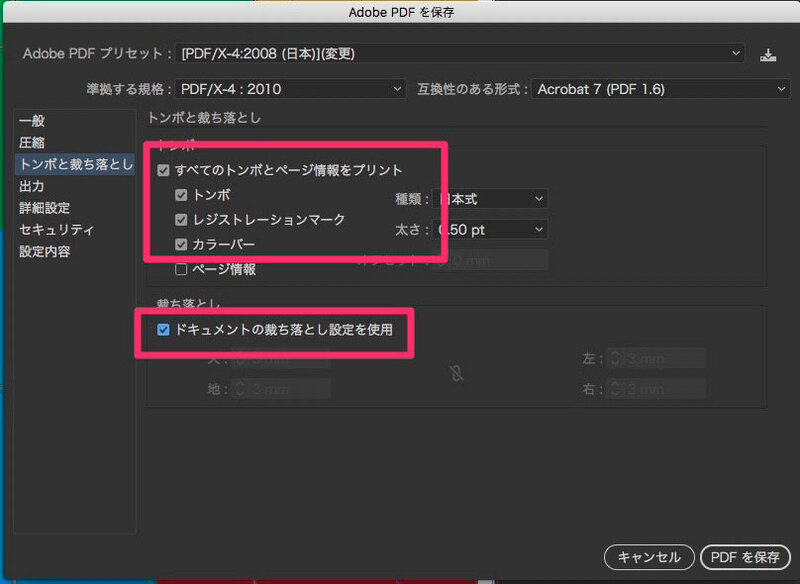 Set up register mark and bleed, and export PDF. 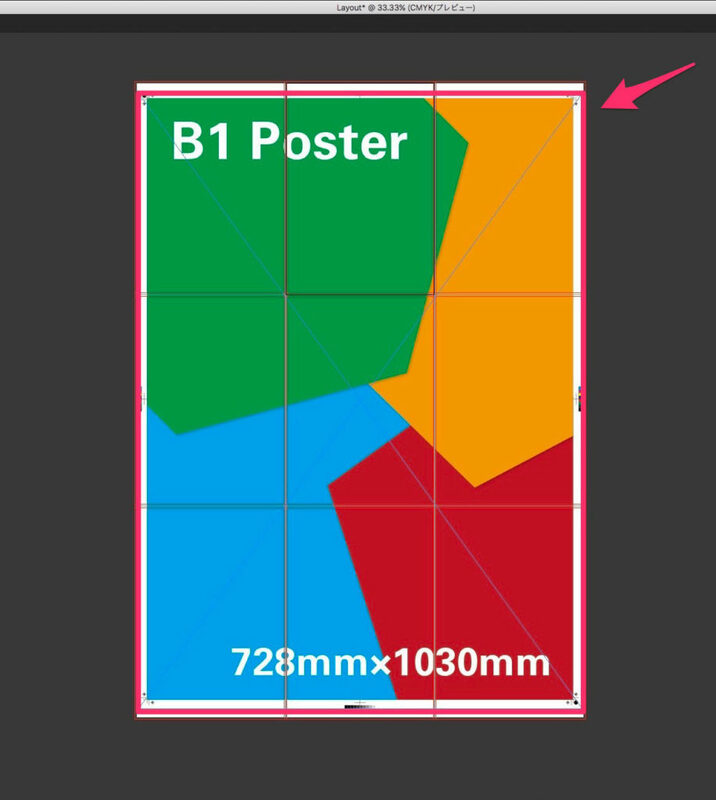 A B1 size poster was divided and printed out on a paper with a register mark B4. Print the PDF created in 4. in full size on A3 size paper, cut it with a register mark, paste it, it is completed.